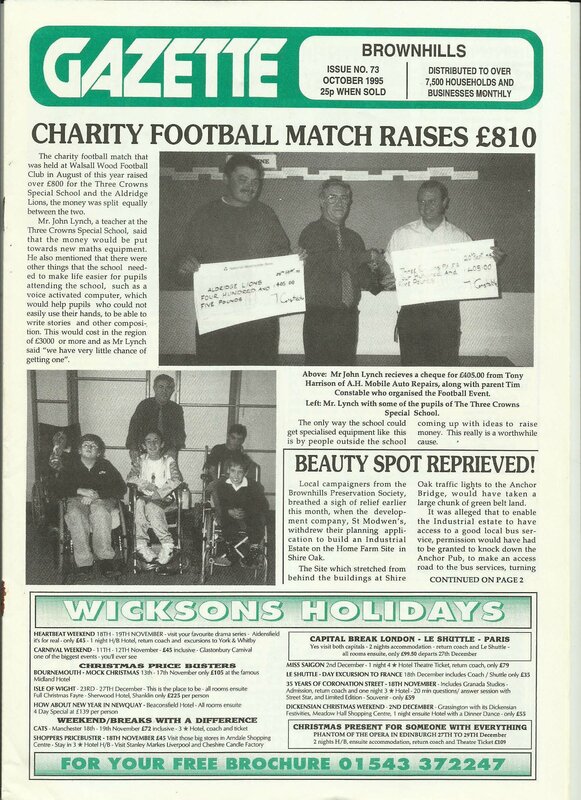 October 1995 – Beauty spot reprieved! 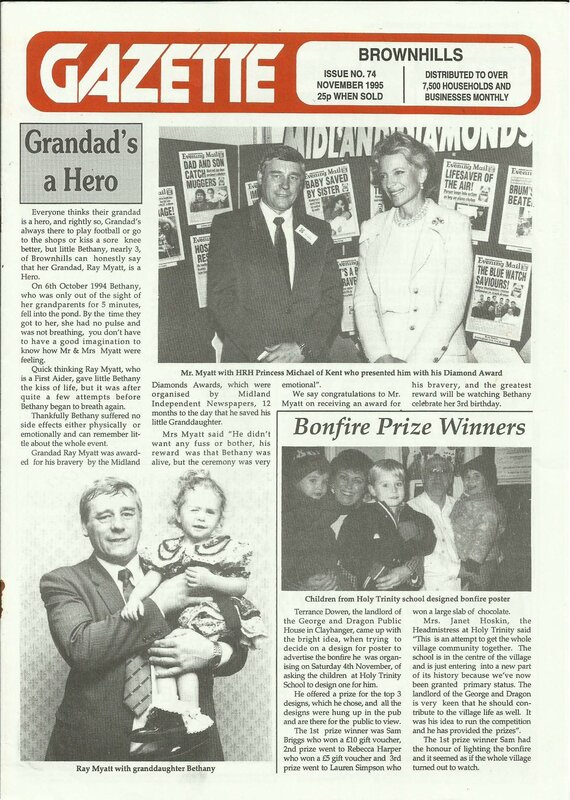 Continuing the scans of the Brownhills Gazette – I present issue 73 of the long lost freesheet, from October 1995 for you to peruse and download – I’ve had an incredible response to featuring these long, lost publications here on the blog. 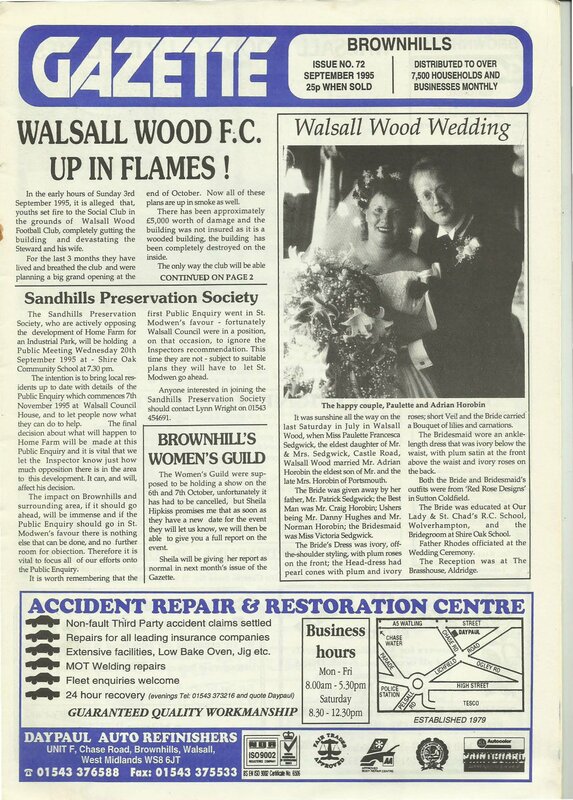 September 1995 – Walsall Wood FC up in flames! 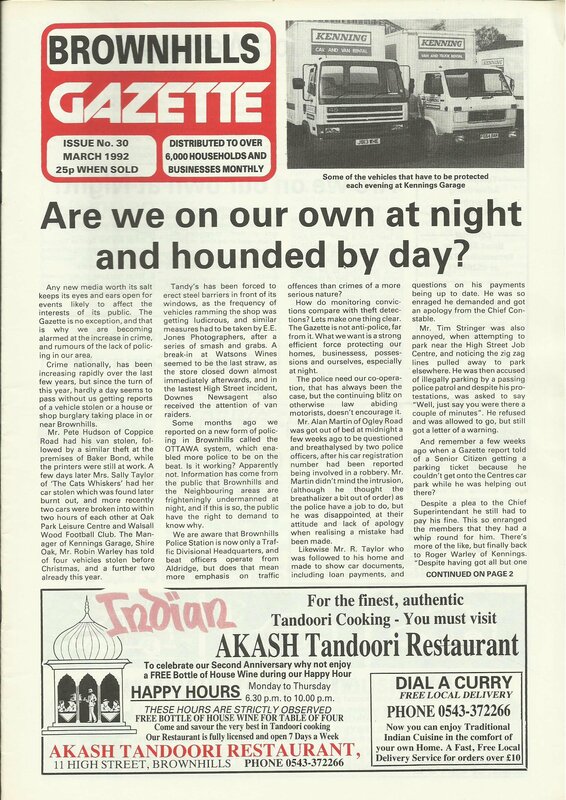 Continuing the scans of the Brownhills Gazette – I present issue 72 of the long lost freesheet, from September 1995 for you to peruse and download – I’ve had an incredible response to featuring these long, lost publications here on the blog. 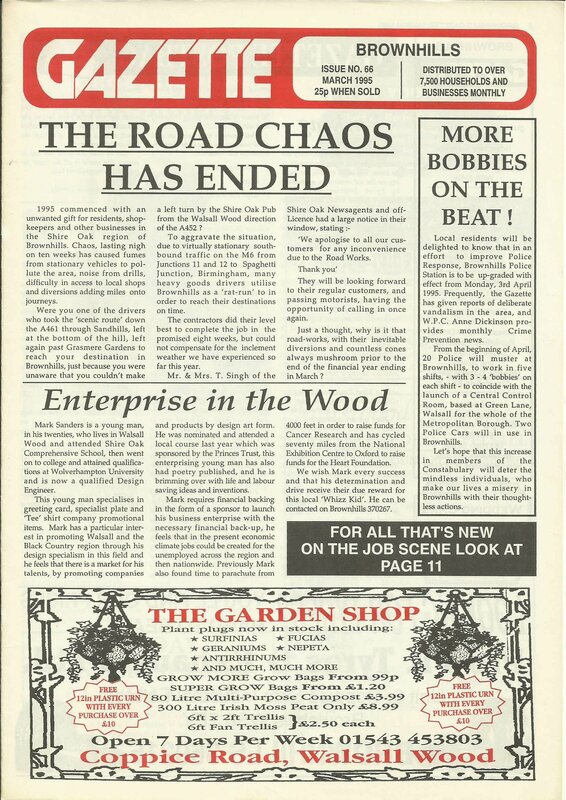 Continuing the scans of the Brownhills Gazette – I present issue 70 of the long lost freesheet, from July 1995 for you to peruse and download – I’ve had an incredible response to featuring these long, lost publications here on the blog. 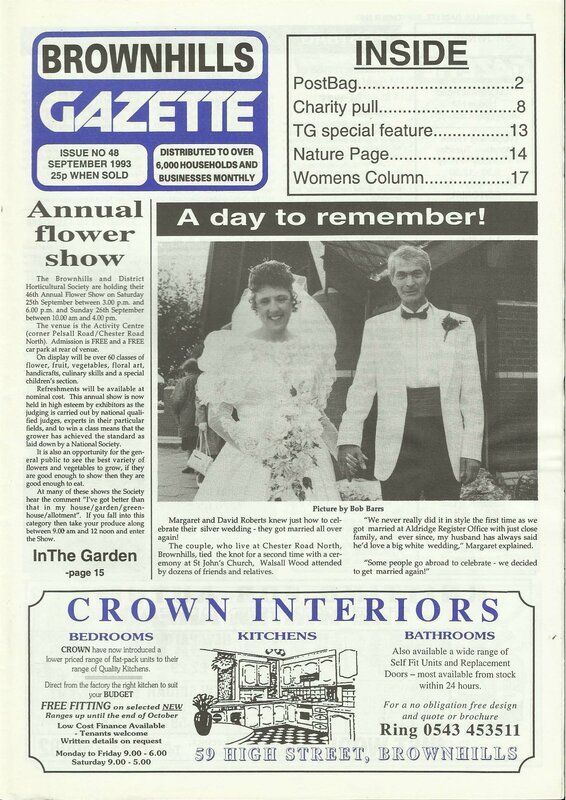 Continuing the scans of the Brownhills Gazette – I present issue 71 of the long lost freesheet, from August 1995 for you to peruse and download – I’ve had an incredible response to featuring these long, lost publications here on the blog. 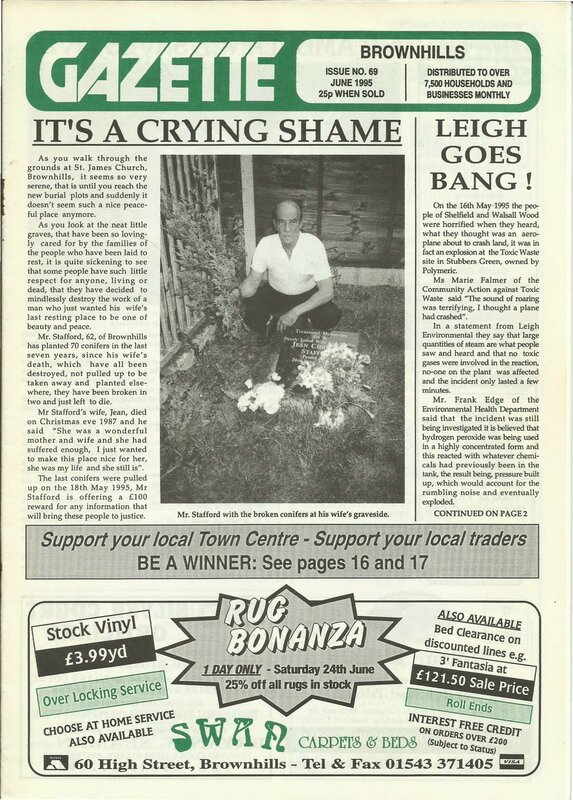 June 1995 – Leigh goes bang! 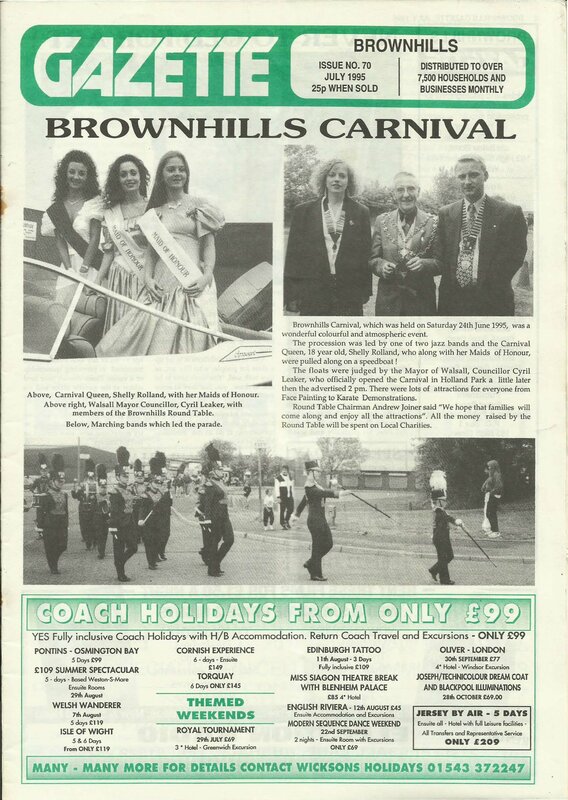 Continuing the scans of the Brownhills Gazette – I present issue 69 of the long lost freesheet, from June 1995 for you to peruse and download – I’ve had an incredible response to featuring these long, lost publications here on the blog. 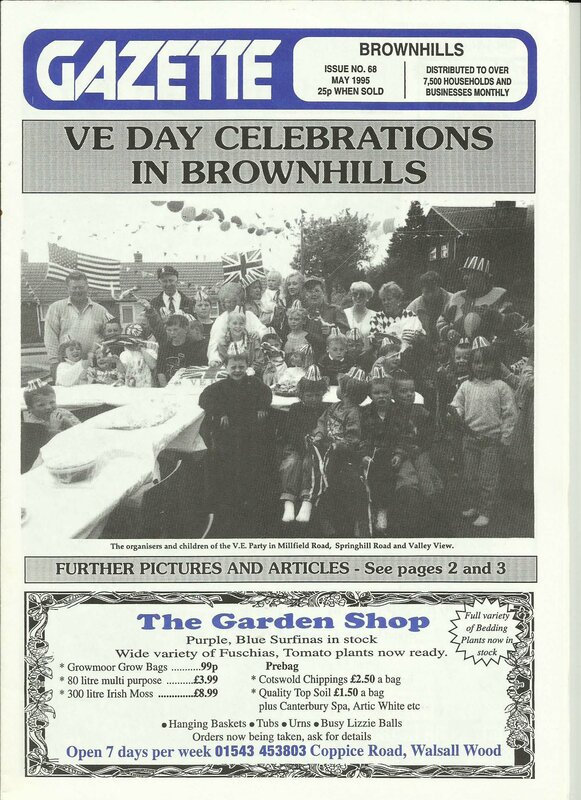 Continuing the scans of the Brownhills Gazette – I present issue 68 of the long lost freesheet, from May 1995 for you to peruse and download – I’ve had an incredible response to featuring these long, lost publications here on the blog. 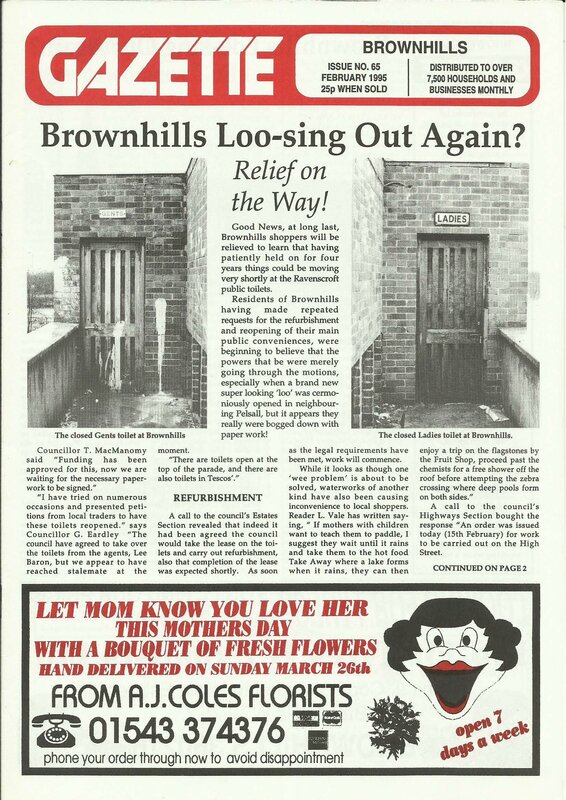 Continuing the scans of the Brownhills Gazette – I present issue 67 of the long lost freesheet, from April 1995 for you to peruse and download – I’ve had an incredible response to featuring these long, lost publications here on the blog. 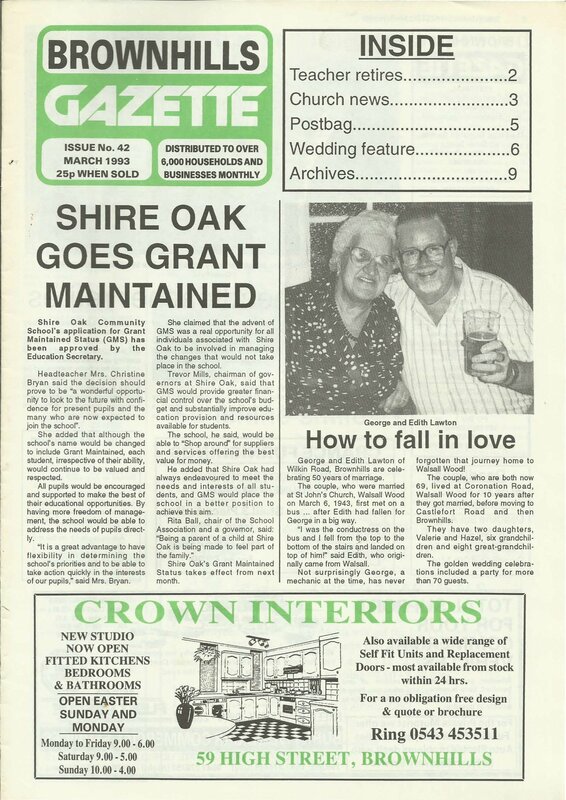 Continuing the scans of the Brownhills Gazette – I present issue 66 of the long lost freesheet, from March 1995 for you to peruse and download – I’ve had an incredible response to featuring these long, lost publications here on the blog. 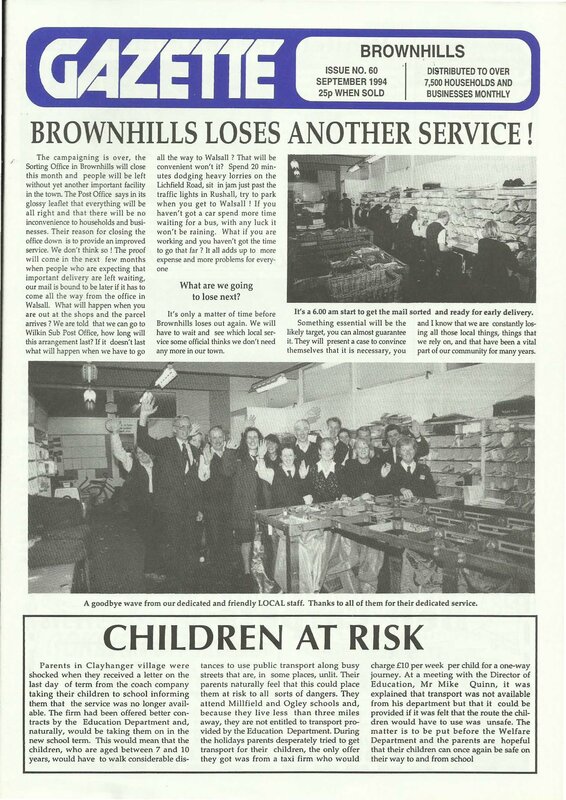 Continuing the scans of the Brownhills Gazette – I present issue 65 of the long lost freesheet, from Febuary 1995 for you to peruse and download. I’ve had an incredible response to featuring these long, lost publications here on the blog. 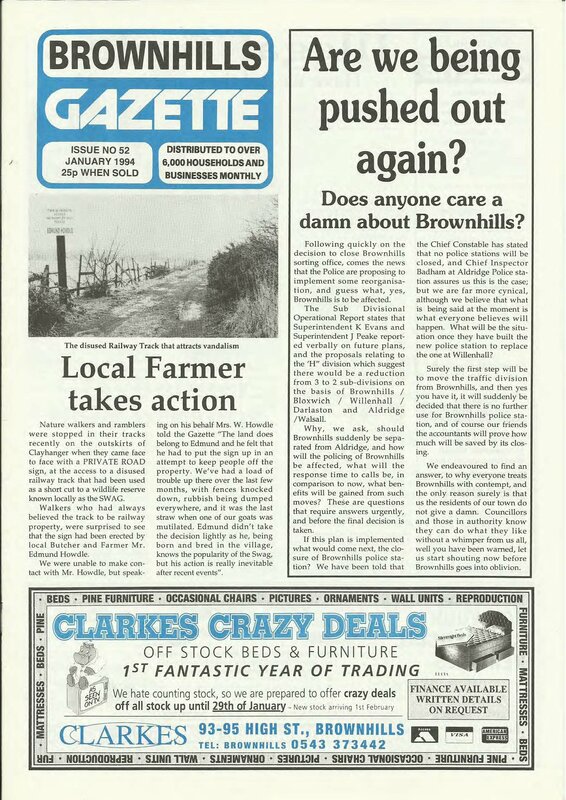 Continuing the scans of the Brownhills Gazette – I present issue 64 of the long lost freesheet, from January 1995 for you to peruse and download – I’ve had an incredible response to featuring these long, lost publications here on the blog. 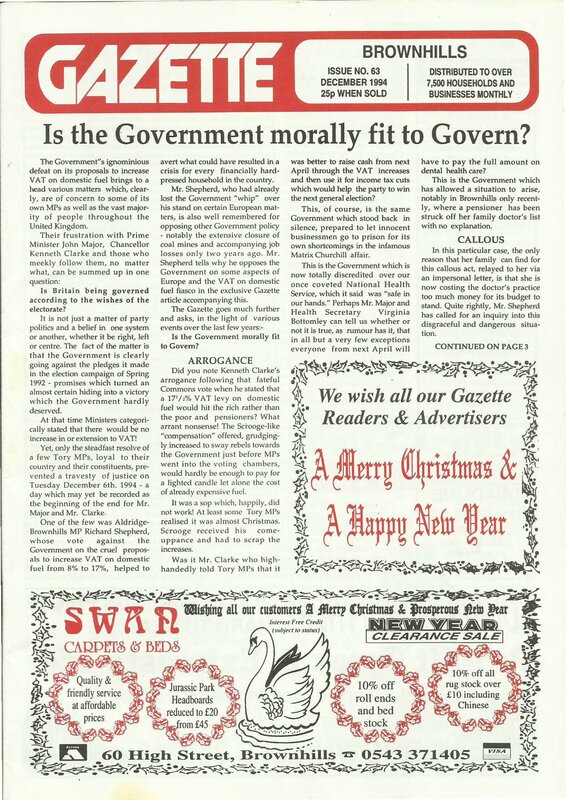 December 1994 – ￼Is the government really fit to govern? 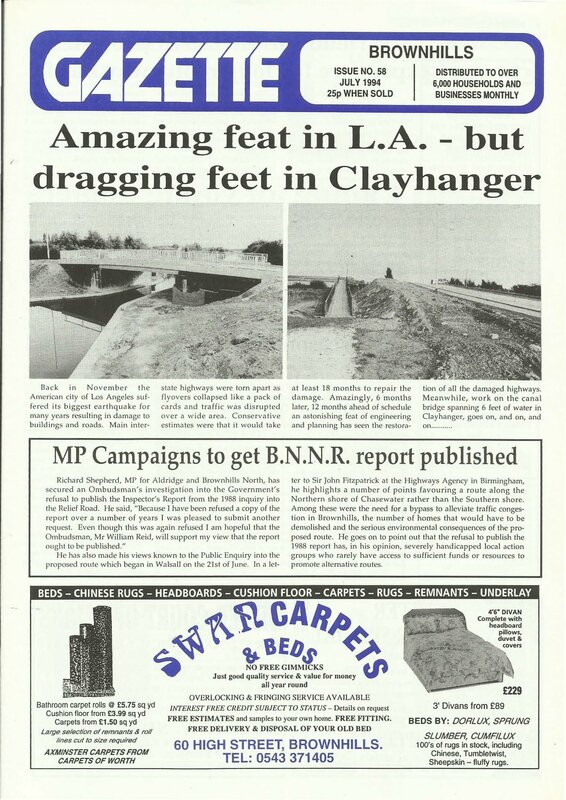 Continuing the scans of the Brownhills Gazette – I present issue 63 of the long lost freesheet, from December 1994 for you to peruse and download – I’ve had an incredible response to featuring these long, lost publications here on the blog. 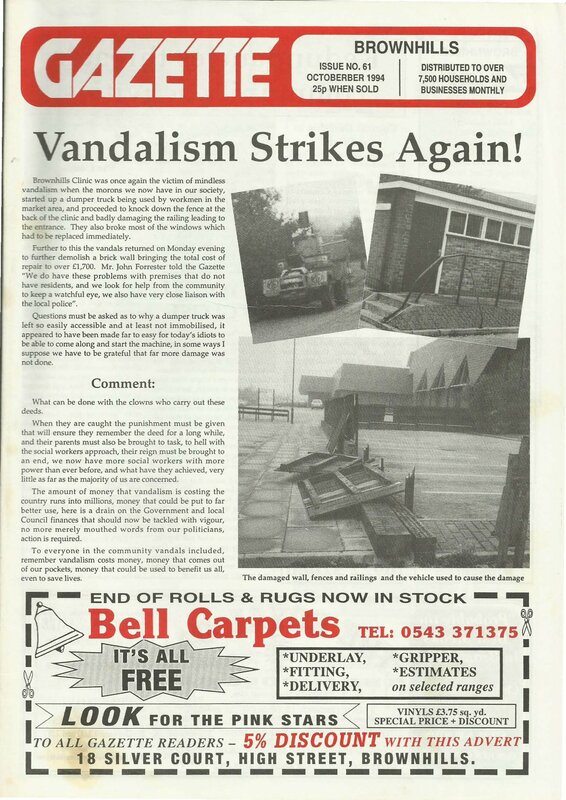 October 1994 – ￼Vandalism Strikes Again! 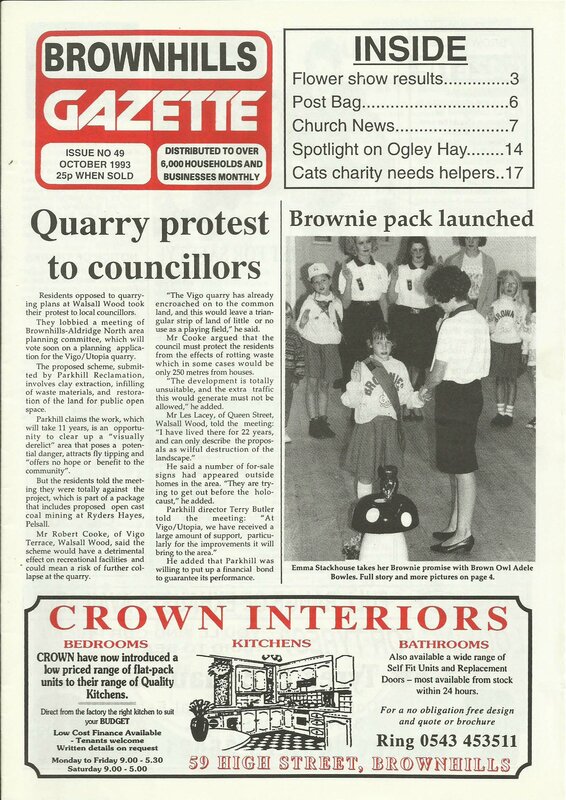 Continuing the scans of the Brownhills Gazette – I present issue 61 of the long lost freesheet, from October 1994 for you to peruse and download. I’ve had an incredible response to featuring these long, lost publications here on the blog. 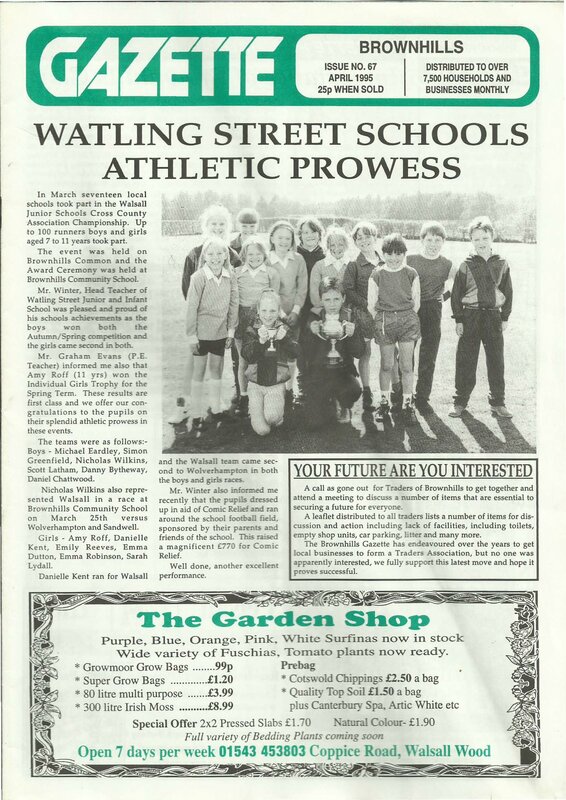 Continuing the scans of the Brownhills Gazette – I present issue 60 of the long lost freesheet, from September 1994 for you to peruse and download. I’ve had an incredible response to featuring these long, lost publications here on the blog. 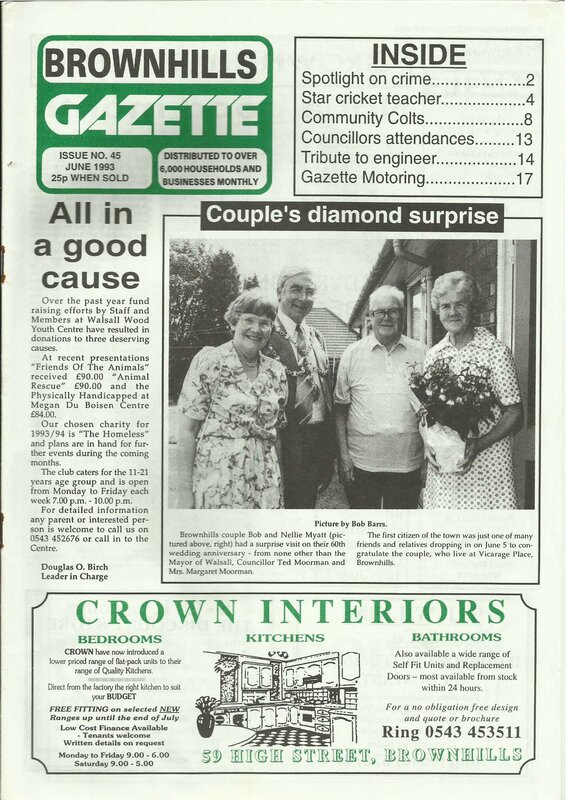 Continuing the scans of the Brownhills Gazette – I present issue 59 of the long lost freesheet, from July 1994 for you to peruse and download. I’ve had an incredible response to featuring these long, lost publications here on the blog. 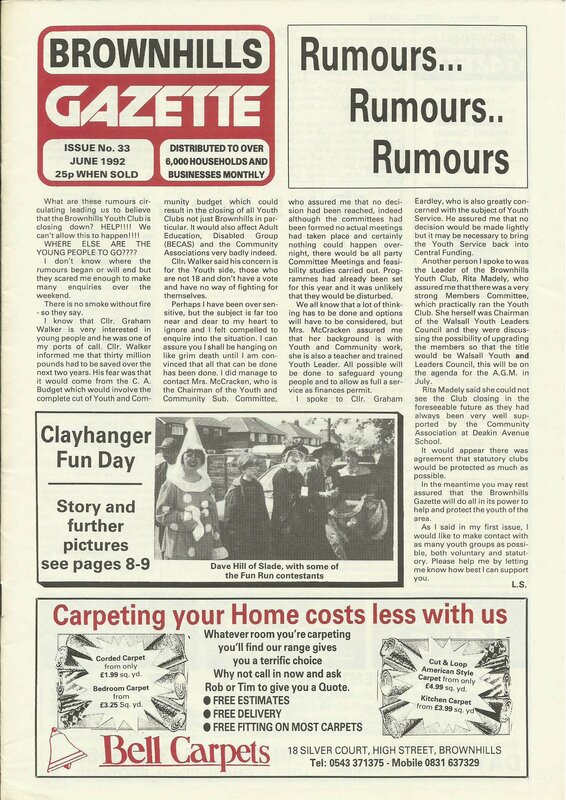 Continuing the scans of the Brownhills Gazette – I present issue 58 of the long lost freesheet, from July 1994 for you to peruse and download – I’ve had an incredible response to featuring these long, lost publications here on the blog. 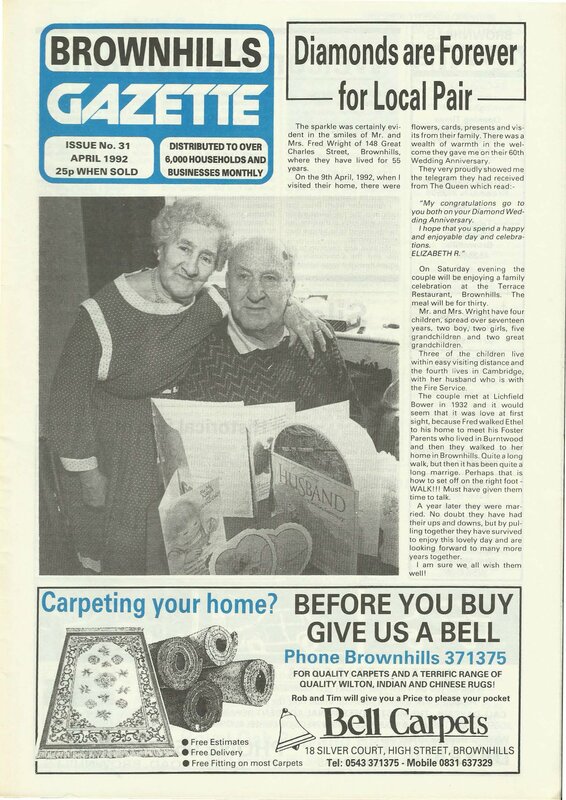 Continuing the scans of the Brownhills Gazette – I present issue 57 of the long lost freesheet, from June 1994 for you to peruse and download – I’ve had an incredible response to featuring these long, lost publications here on the blog. 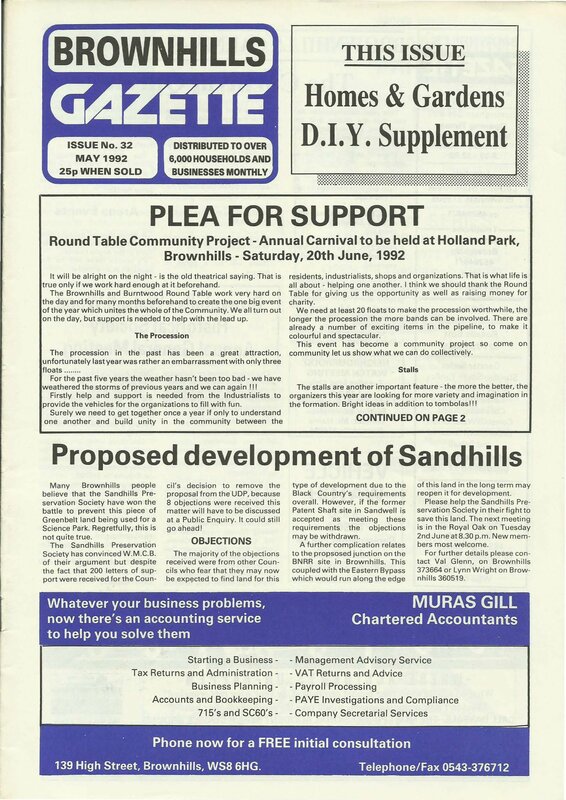 Continuing the scans of the Brownhills Gazette – I present issue 56 of the long lost freesheet, from May 1994 for you to peruse and download – I’ve had an incredible response to featuring these long, lost publications here on the blog. 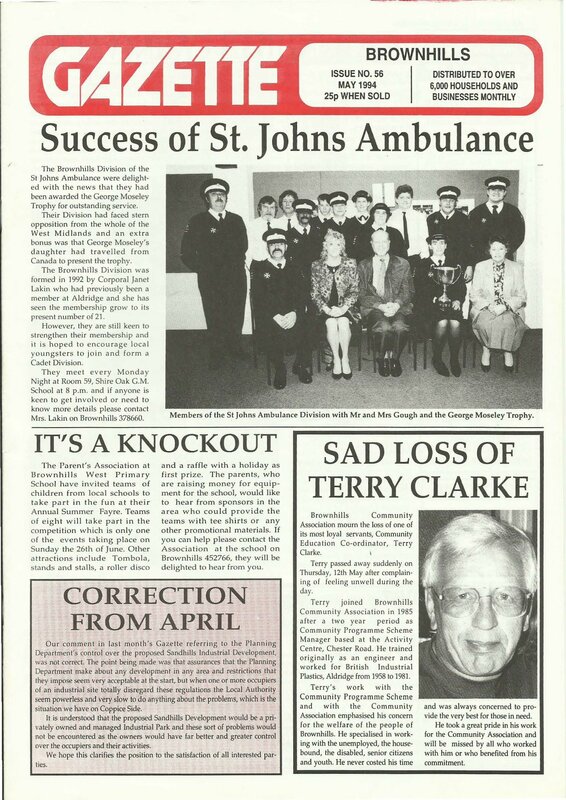 Continuing the scans of the Brownhills Gazette – I present issue 55 of the long lost freesheet, from April 1994 for you to peruse and download – I’ve had an incredible response to featuring these long, lost publications here on the blog. 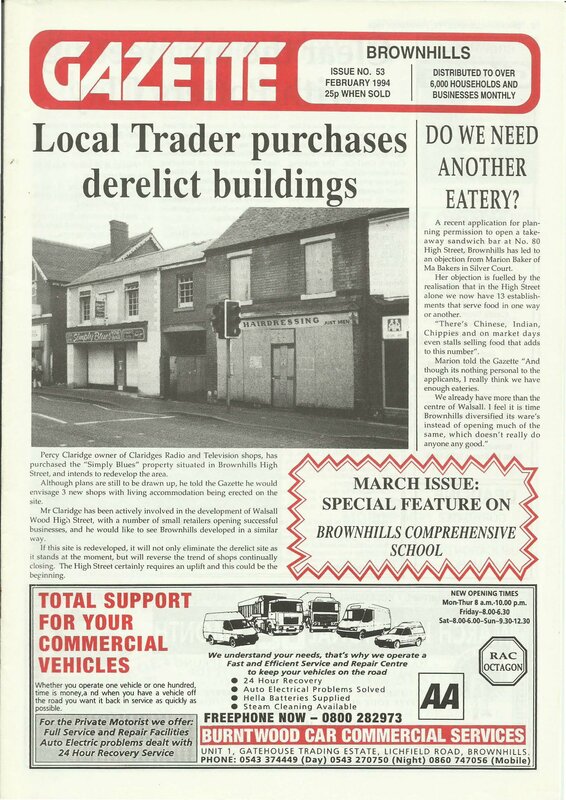 Continuing the scans of the Brownhills Gazette – I present issue 54 of the long lost freesheet, from March 1994 for you to peruse and download. I’ve had an incredible response to featuring these long, lost publications here on the blog. 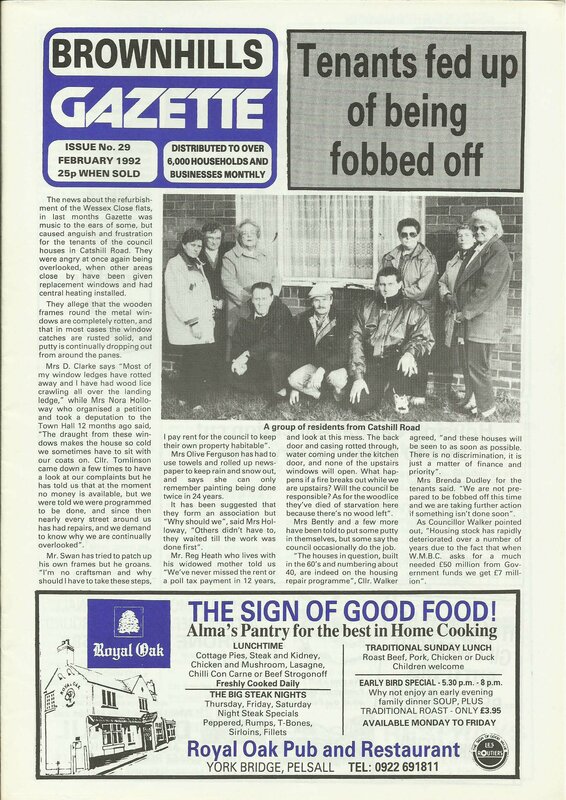 Continuing the scans of the Brownhills Gazette – I present issue 53 of the long lost freesheet, from Febuary 1994 for you to peruse and download – I’ve had an incredible response to featuring these long, lost publications here on the blog. January 1994 – Are we being pushed out again? 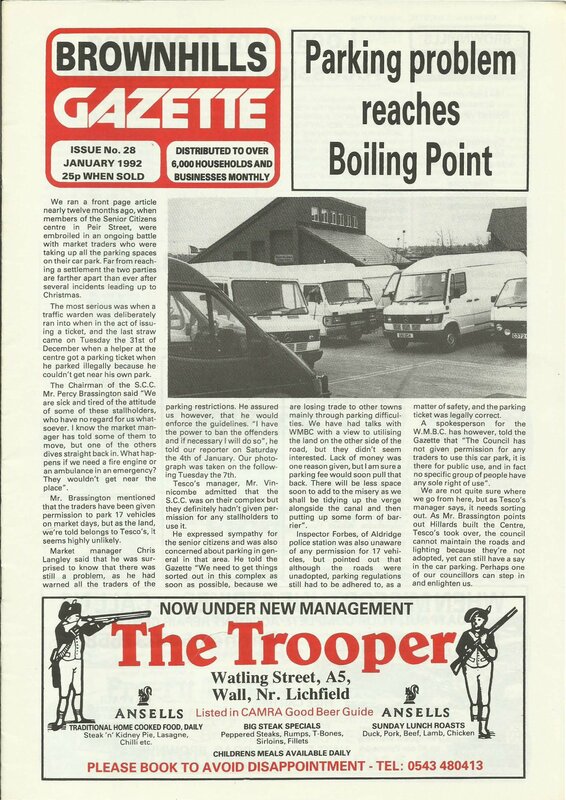 Continuing the scans of the Brownhills Gazette – I present issue 52 of the long lost freesheet, from January 1994 for you to peruse and download – I’ve had an incredible response to featuring these long, lost publications here on the blog. 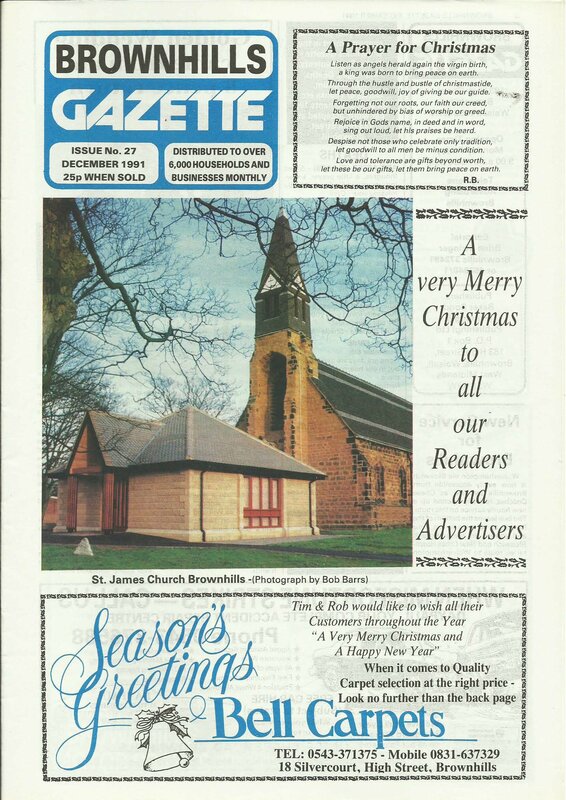 Continuing the scans of the Brownhills Gazette – I present issue 51 of the long lost freesheet, from December 1993 for you to peruse and download. I’ve had an incredible response to featuring these long, lost publications here on the blog. 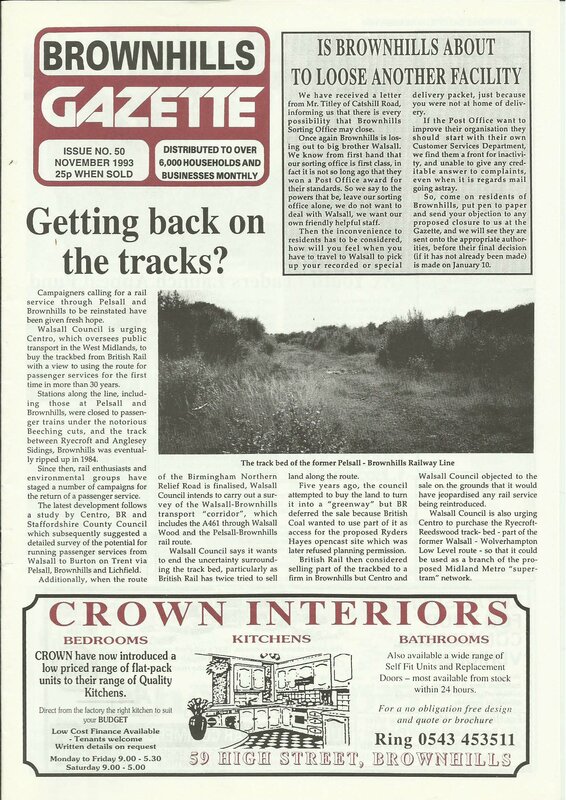 November 1993 – Getting back on the tracks? 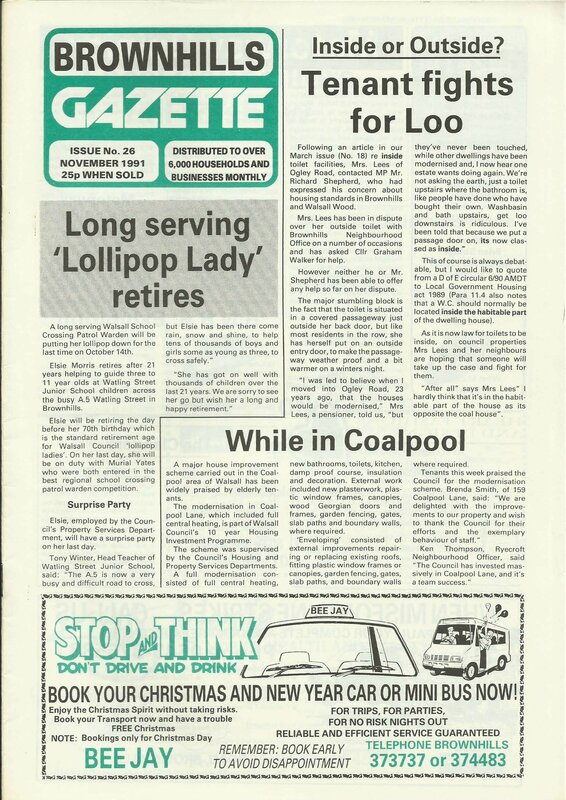 Continuing the scans of the Brownhills Gazette – I present issue 50 of the long lost freesheet, from November 1993 for you to peruse and download – I’ve had an incredible response to featuring these long, lost publications here on the blog. 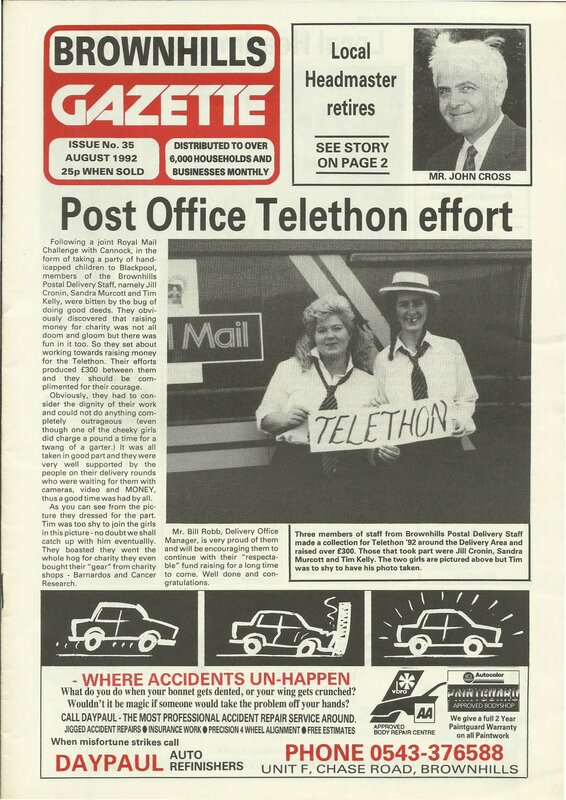 Continuing the scans of the Brownhills Gazette – I present issue 49 of the long lost freesheet, from October 1993 for you to peruse and download. I’ve had an incredible response to featuring these long, lost publications here on the blog. 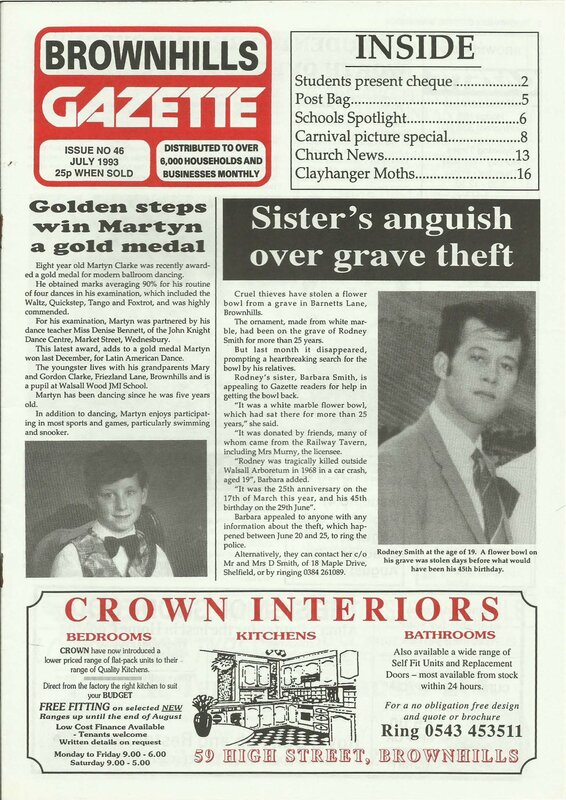 Continuing the scans of the Brownhills Gazette – I present issue 44 of the long lost freesheet, from May 1993 for you to peruse and download. I’ve had an incredible response to featuring these long, lost publications here on the blog. September 1993 – A day to remember! 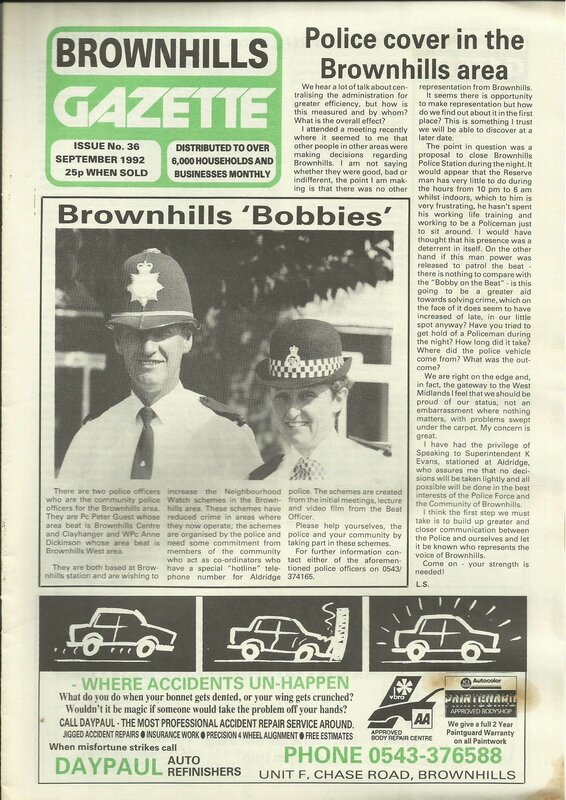 Continuing the scans of the Brownhills Gazette – I present issue 48 of the long lost freesheet, from September 1993 for you to peruse and download – I’ve had an incredible response to featuring these long, lost publications here on the blog. 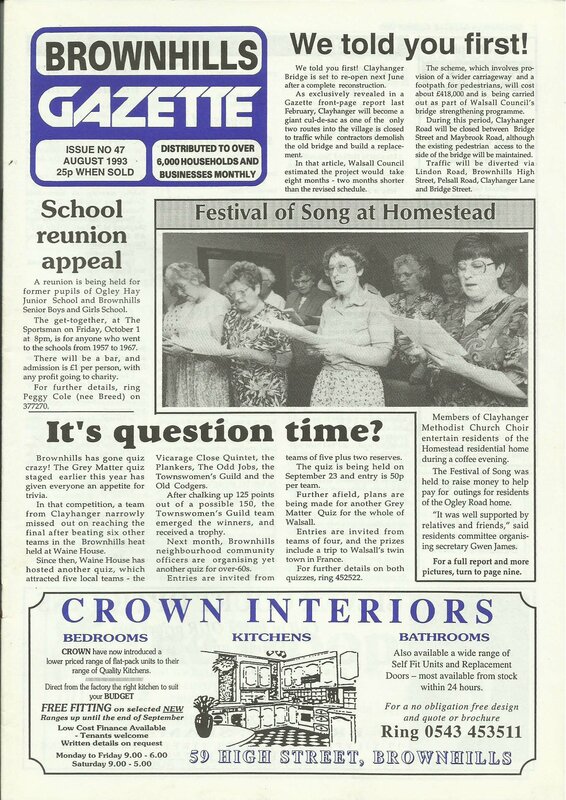 August 1993 – It’s question time? 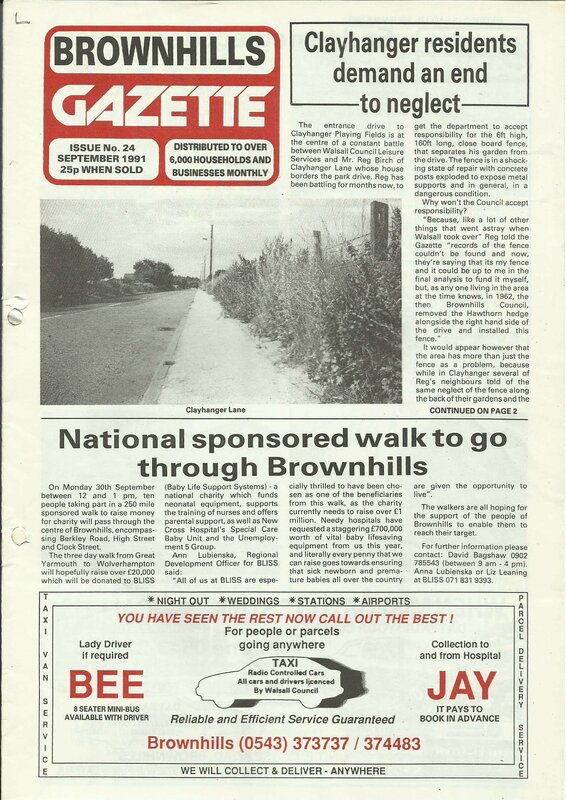 Continuing the scans of the Brownhills Gazette – I present issue 47 of the long lost freesheet, from August 1993 for you to peruse and download. I’ve had an incredible response to featuring these long, lost publications here on the blog. 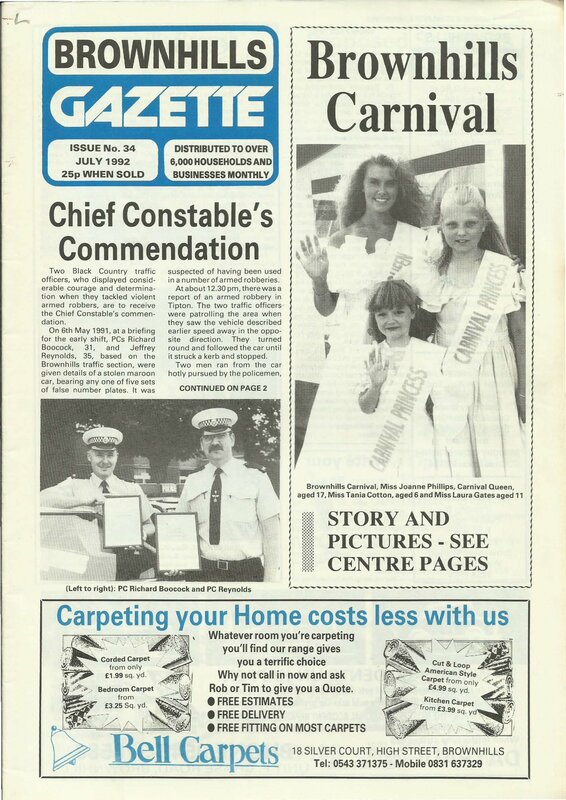 Continuing the scans of the Brownhills Gazette – I present issue 46 of the long lost freesheet, from July 1993 for you to peruse and download. I’ve had an incredible response to featuring these long, lost publications here on the blog. 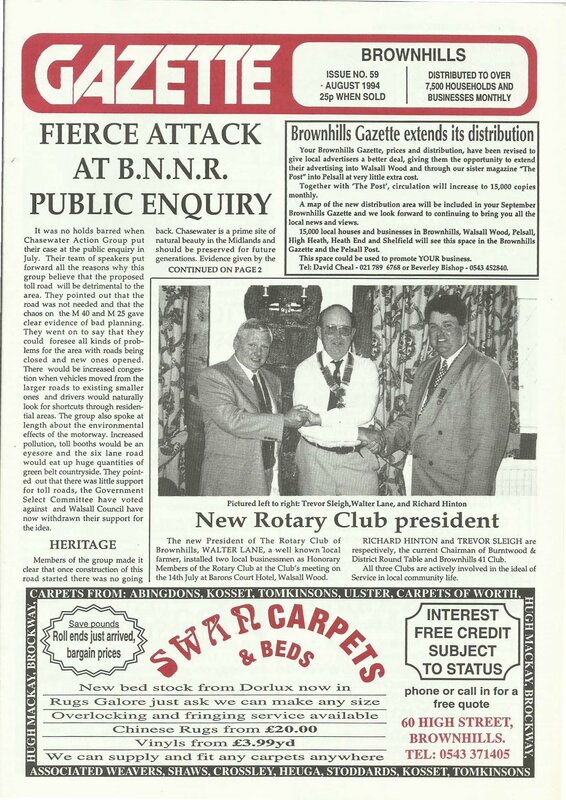 Continuing the scans of the Brownhills Gazette – I present issue 45 of the long lost freesheet, from June 1993 for you to peruse and download. I’ve had an incredible response to featuring these long, lost publications here on the blog. 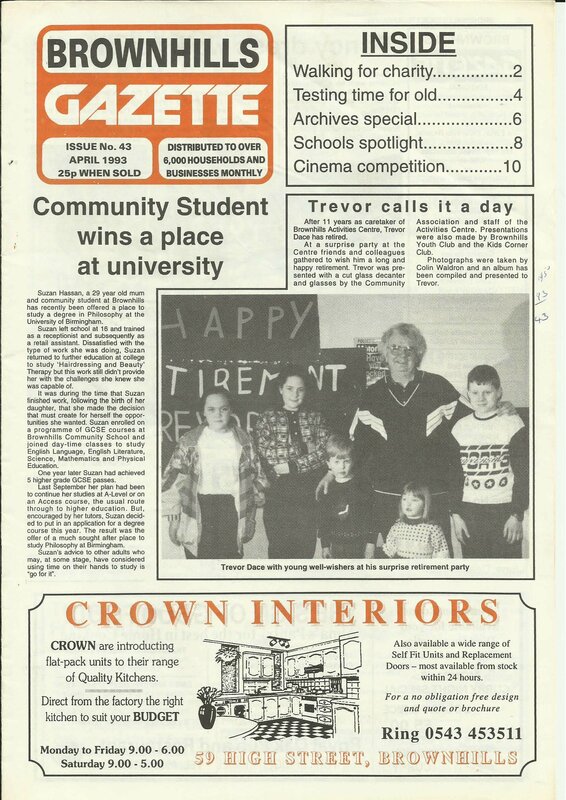 Continuing the scans of the Brownhills Gazette – I present issue 43 of the long lost freesheet, from April 1993 for you to peruse and download – I’ve had an incredible response to featuring these long, lost publications here on the blog. 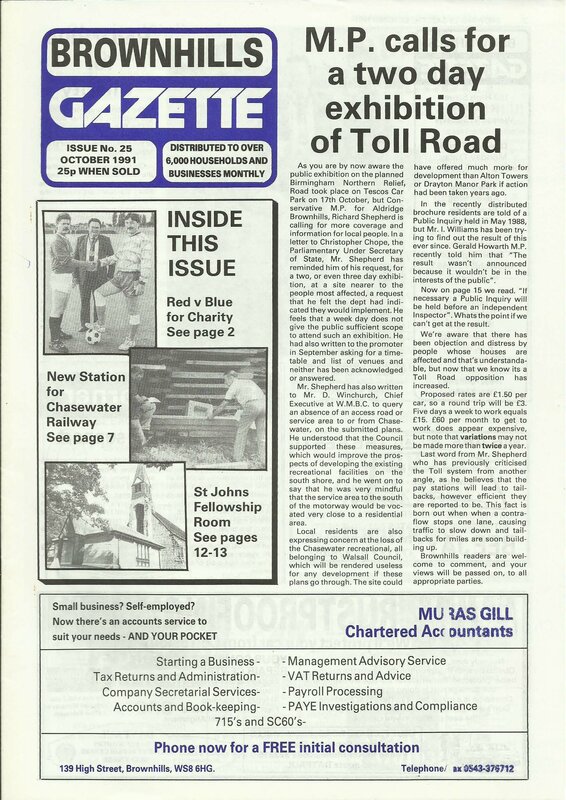 Continuing the scans of the Brownhills Gazette – I present issue 42 of the long lost freesheet, from March 1993 for you to peruse and download – I’ve had an incredible response to featuring these long, lost publications here on the blog. 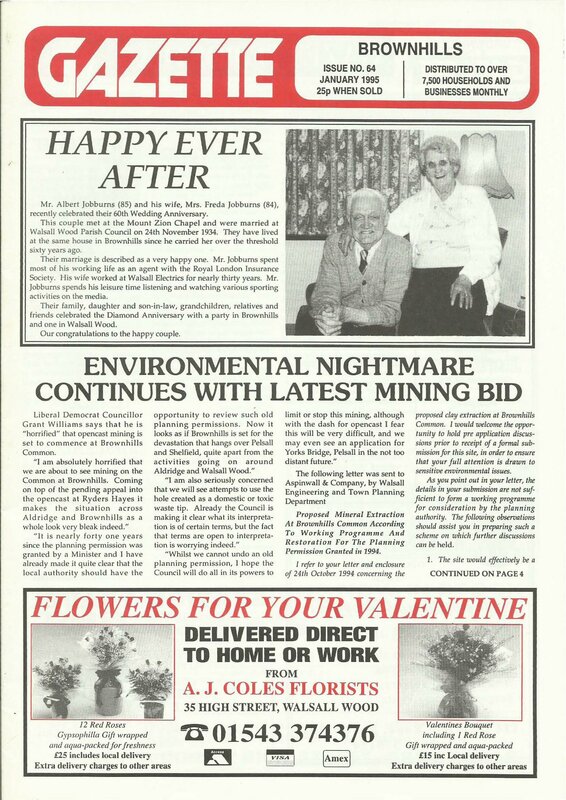 Continuing the scans of the Brownhills Gazette – I present issue 41 of the long lost freesheet, from February 1993 for you to peruse and download. I’ve had an incredible response to featuring these long, lost publications here on the blog. 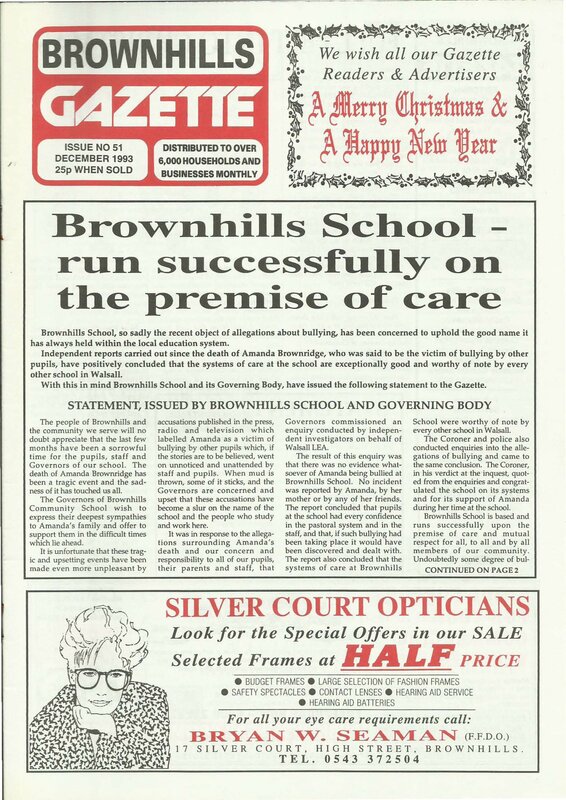 Continuing the scans of the Brownhills Gazette – I present issue 40 of the long lost freesheet, from January 1993 for you to peruse and download. I’ve had an incredible response to featuring these long, lost publications here on the blog. 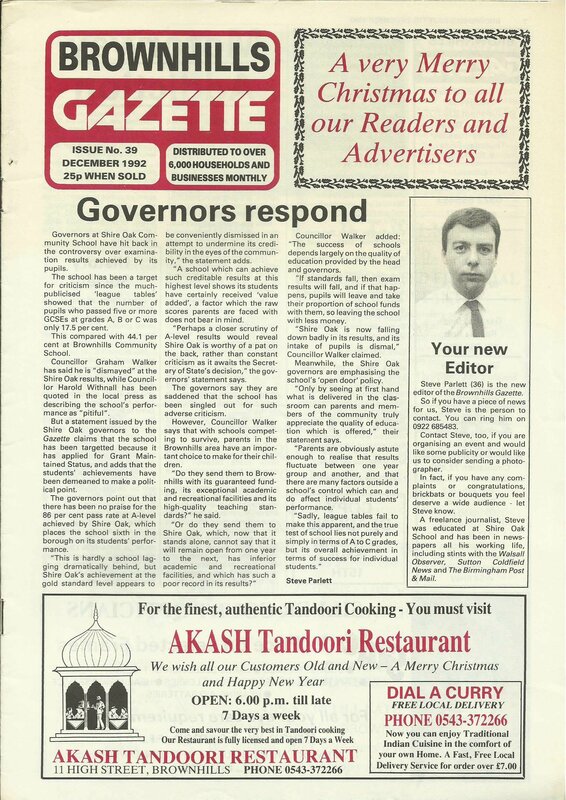 Continuing the scans of the Brownhills Gazette – I present issue 39 of the long lost freesheet, from December 1992 for you to peruse and download – I’ve had an incredible response to featuring these long, lost publications here on the blog. 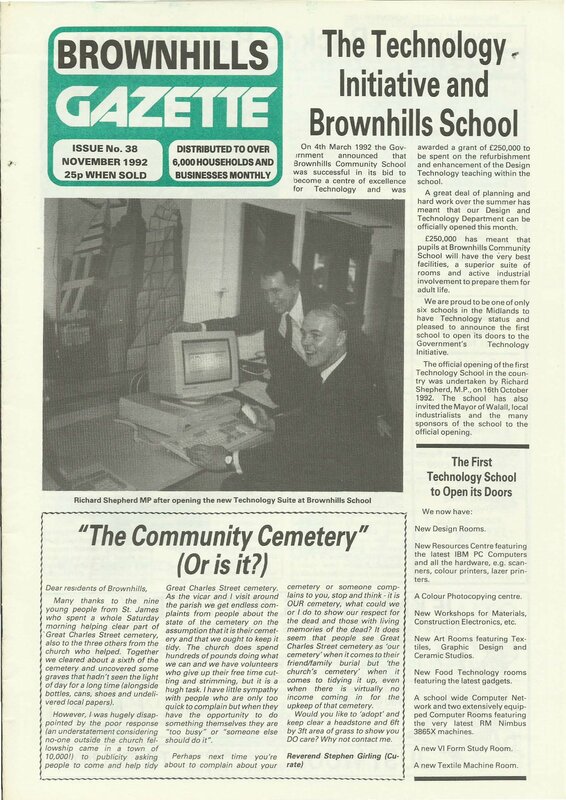 November 1992 – ‘The Community Cemetery’ – or is it? 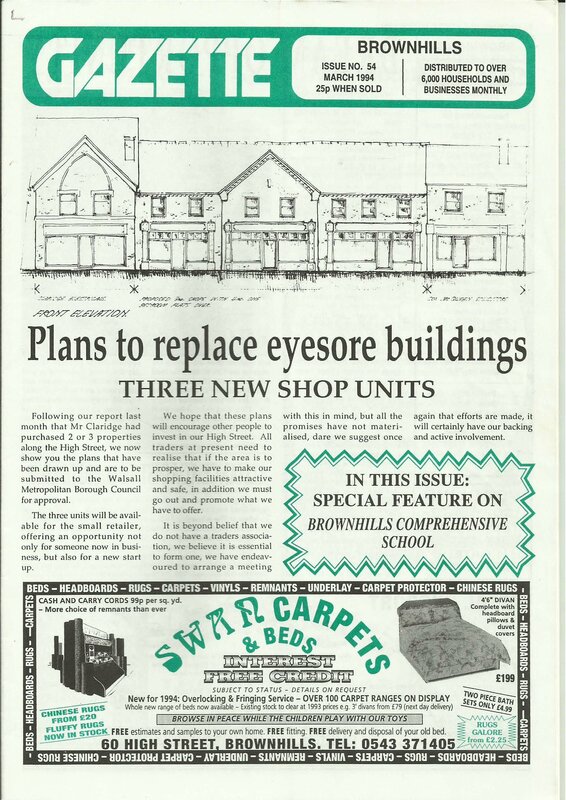 Continuing the scans of the Brownhills Gazette – I present issue 38 of the long lost freesheet, from November 1992 for you to peruse and download – I’ve had an incredible response to featuring these long, lost publications here on the blog. 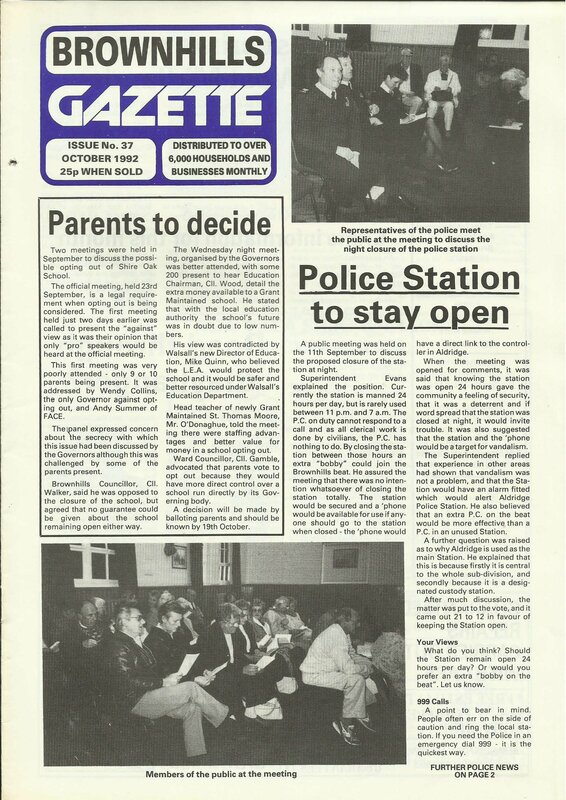 Continuing the scans of the Brownhills Gazette – I present issue 37 of the long lost freesheet, from October 1992 for you to peruse and download – I’ve had an incredible response to featuring these long, lost publications here on the blog. 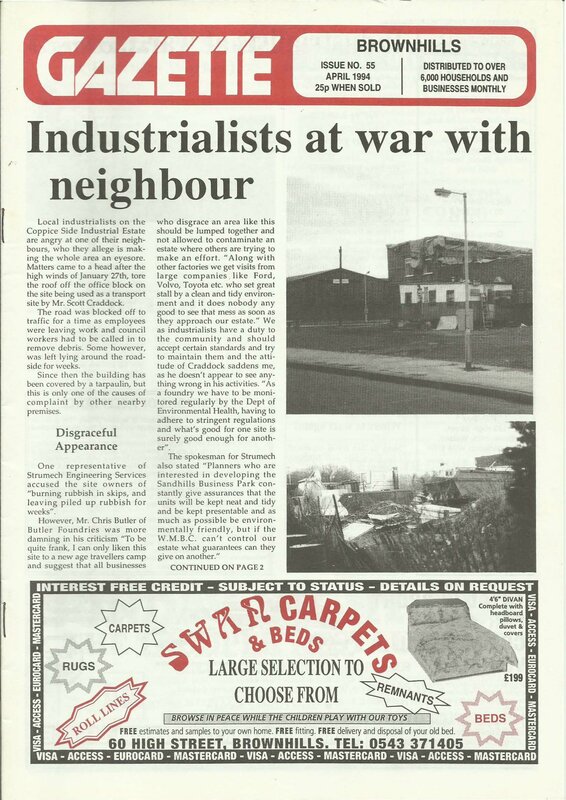 Continuing the scans of the Brownhills Gazette – I present issue 36 of the long lost freesheet, from ASeptember 1992 for you to peruse and download – I’ve had an incredible response to featuring these long, lost publications here on the blog. 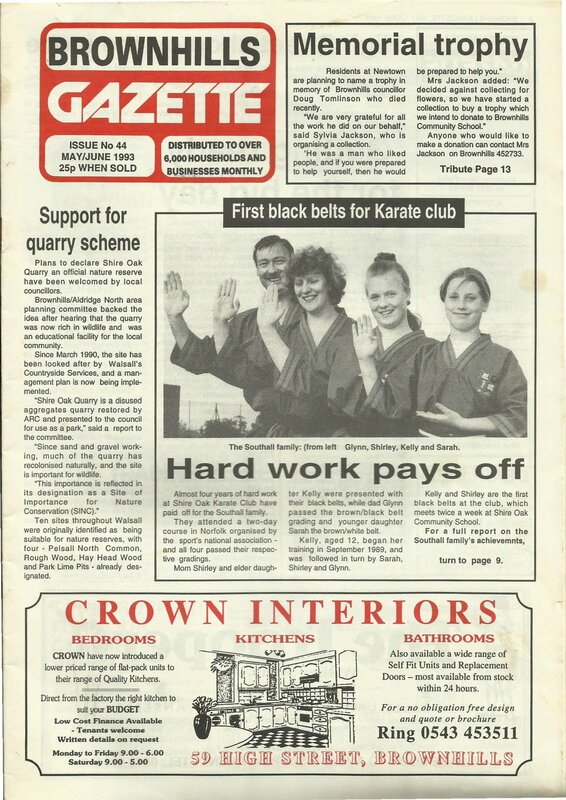 Continuing the scans of the Brownhills Gazette – I present issue 35 of the long lost freesheet, from August 1992 for you to peruse and download. I’ve had an incredible response to featuring these long, lost publications here on the blog. 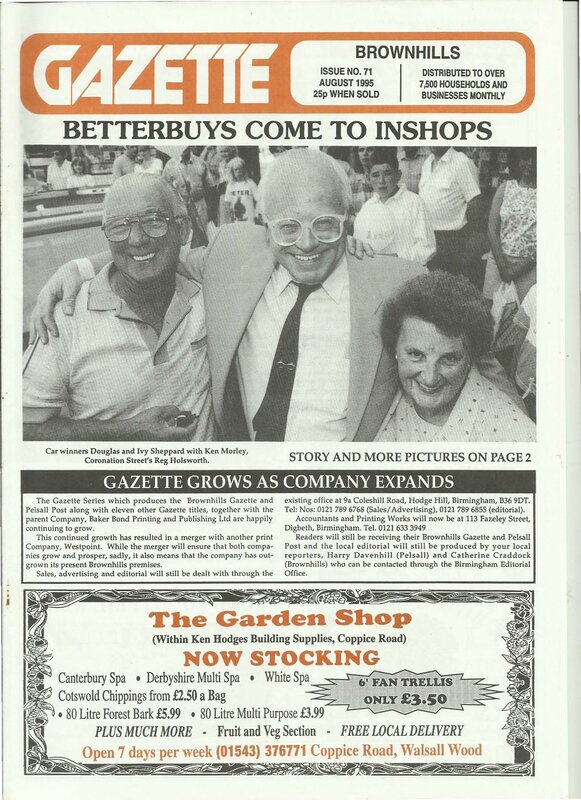 Continuing the scans of the Brownhills Gazette – I present issue 34 of the long lost freesheet, from July 1992 for you to peruse and download. I’ve had an incredible response to featuring these long, lost publications here on the blog. 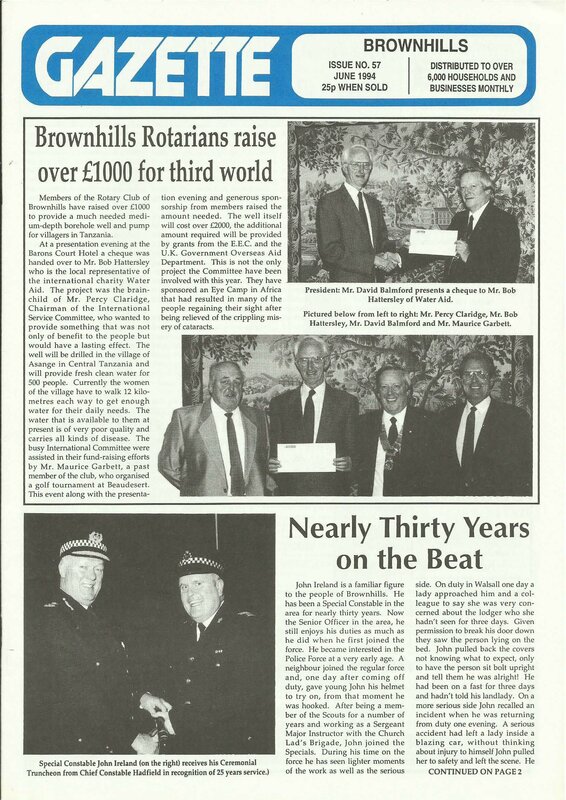 Continuing the scans of the Brownhills Gazette – I present issue 33 of the long lost freesheet, from June 1992 for you to peruse and download. I’ve had an incredible response to featuring these long, lost publications here on the blog. 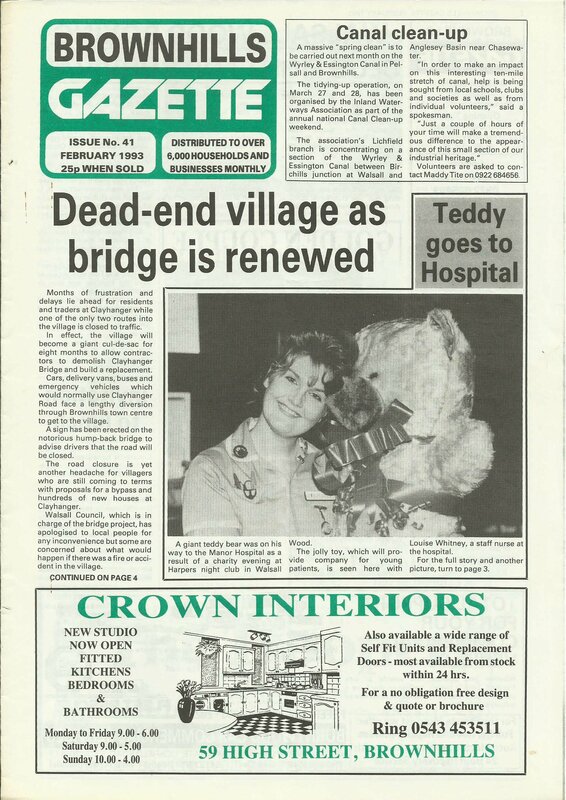 Continuing the scans of the Brownhills Gazette – I present issue 31 of the long lost freesheet, from April 1992 for you to peruse and download. I’ve had an incredible response to featuring these long, lost publications here on the blog.